The Crookers‘ remix of Kid Cudi´s “Day & Night” is still hitting heavy on radio airwaves and music television stations around the globe. Today you got the chance to a) do a remix of one of their tracks and b) download an exclusive “Day and Night” version from our Kingstonian friend Natalie Storm. Ever fancied remixing Crookers? Well, here´s your chance. To celebrate the release of the Funk Mundial compilation, containing the best tracks of the vinyl series on Man Recordings, we are giving away original acappella, bassline and drumfills from the Crookers track “Soca Ali Baba” feat. Baile Funk MC Dandão for y´all to remix. The best three remixes will be officially digital release on Man Recordings and rewarded with Man Recordings goodies and a share in sales. Please send your remixes to info (at) manrecordings.com. 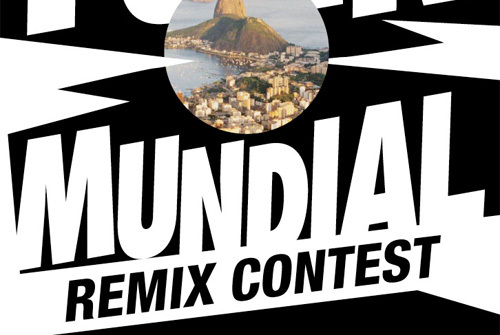 Submission deadline is April 20th, 2009 – the release date of the Funk Mundial compilation. Download the parts from here: http://www.zshare.net/download/58089059d64facf2/.